Who is Ishkabibble? Besides, the comedian from the 30’s and a Yiddish expression, we don’t really know, but the name was often playfully called out in the Sconely founder’s home. 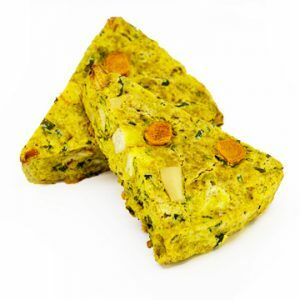 A potato kale scone, enhanced with roasted garlic, turmeric and preserved lemons, this is a fun scone!